When you're camp, it is always fun to go around and see what's nearby. But often it can be hard to know where to go or what is around. So here are some ideas and tips on destinations to visit a little closer. Some sights and visit the significant sites which may be the basis for a trip! Along Daslands Canal in the small village Håverud you will find Swedens only existing aqueduct. In 1868 they built the aqueduct instead of a lock. In that time the aquaduct where called a technical wonder, because there was no other place in the world where an aqueduct, a road and a railway where built on top of each other. Håverud is located around 40 km from the campsite. 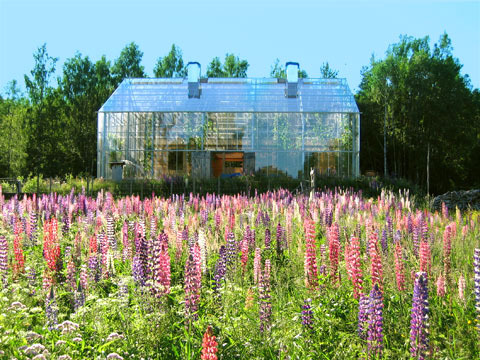 It is a glasshouse with a house inside, it uses 'the greenhouse effect' for a more environmentally friendly housing. The glasshouse serves as an ecosystem where the house is a closed loop system. You can get a guided tour where you can learn a little more about the house-building and idea. The glasshouse is located right next to the camping. Adventure for the whole family. With water slides, water tunnels, and outdoor whirlpools. There is also access to a small kiosk and sauna after the bath. Vänersborg Water palace is an adventure for the whole family, not to be missed. Vänersborgs Water palace is located 20 km from the campsite. With art, silver and furniture and more from the district. The museum is well situated with great views over the lake Spången. It is also a small jetty for sailing boats and a café. Here you can find most of Dalslands art history. 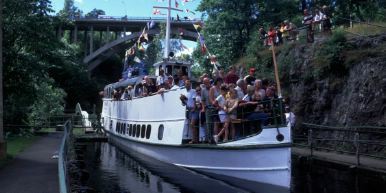 Dalslands museum is located in Mellerud about 30 km from the campsite. 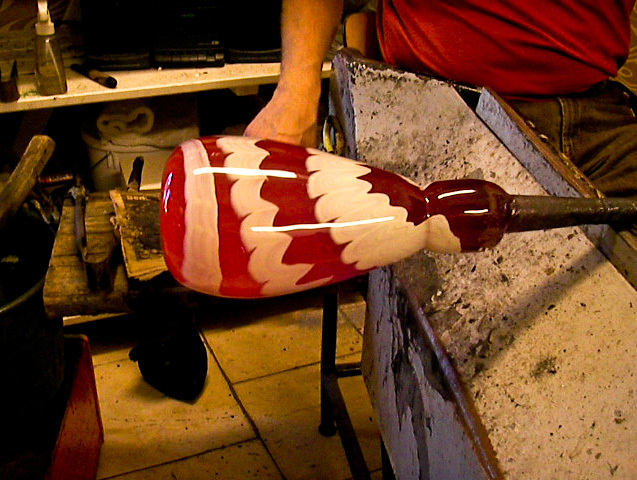 Dalslands glass booth is a glazers where you can see a glazer blow and shape glass. Afterwards you can sit down for a break with freshly ground coffee and homemade muffins in a cozy coffee house. The glass booth is located about 20 km from the campsite. For children, there is Skötterud farm with lots to see and plenty of space to play on. The farm has a small minizoo with rabbits, pigs, goats and even pony management when you can get to see reindeer and lamas along the way. A nice place for a day trip. Sköttruds farm is located about 30 km from the campsite. Halle- and Hunneberg is 'Elk country' and it's also here that the King usually has his annual elk hunting. In the forests of Hunneberg, you will find The Elk Mountain, a museum with lots to see. Learn about the Bronze Age, animals, nature and the local historical sites. 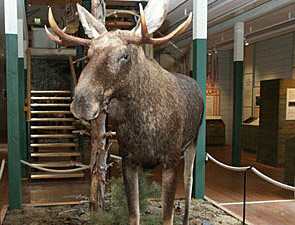 In the middle of the museum is an elkwhich had a significant impact on the mountains history. The Elk Mountain Museum is located about 40 km from the campsite. Have you ever wanted to feed or pat an elk? In Dals Ed, you can visit an elk ranch with six domestic elk that live in a fenced-in forest. Get really close to the powerful animals and have a memorable experience. If you want a small sovenir, visit the elkshop. You can found a café close to the ranch. There are great photo opportunities, so do not forget your camera. Dalslands Moose Ranch is located about 70 km from the campsite.